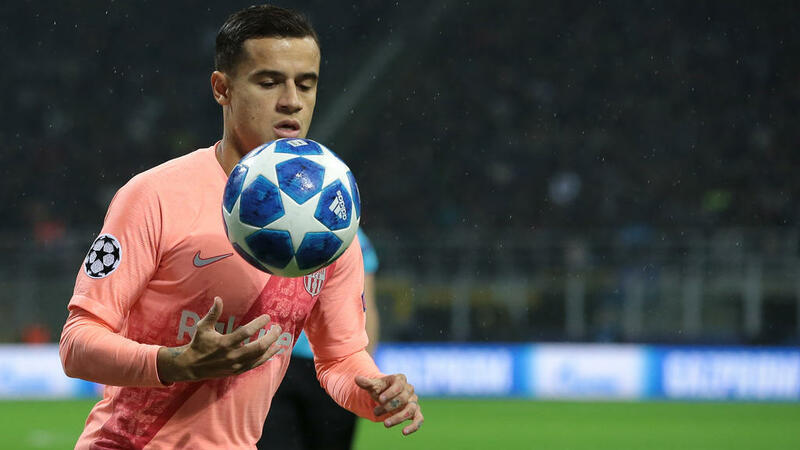 Barcelona midfielder Philippe Coutinho has a muscle tear and will be out for two to three weeks, the Spanish La Liga giants said Thursday. "Tests undertaken on Thursday morning have confirmed that Philippe Coutinho has a small rupture in the femoral biceps of his left leg," Barcelona said. "He will be out for approximately two to three weeks." The 26-year-old Brazilian will miss Sunday's clash against Real Betis. But the Catalan club, currently top of La Liga table, are expected to welcome star forward Lionel Messi back following a three-week absence with a broken arm. Coutinho will also miss Brazil's friendlies against Uruguay and Cameroon on November 16 and 20 respectively. He could potentially also miss Barcelona's match against Atletico Madrid on November 24, crucial if the club want to stay top of La Liga, and the next Champions League game against PSV Eindhoven on November 28. ❗MEDICAL COMMUNIQUÉ@Phil_Coutinho to be out for two to three weeks.